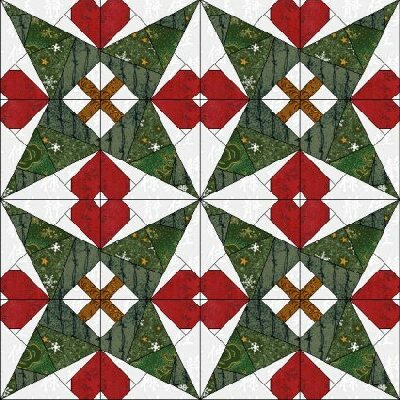 Published June 16, 2013 at 400 × 400 in Christmas Quilt. I would love the PDF of this quilt with Christmas trees and little hearts but I can not print, it tells me that the file does not start with PDF. I love it and I would like to make it for a Christmas gift. Thank you for what you can do. I would love the PDF of this quilt but I cannot print, it tells me that the file does not start with PDF. I love it and I would like to make it. hello, Iwas looking for flowers in paper piecing and I Find your site. I can’t download Christmass Quilt , and i would like to know if you can send it to me, please. I also want to know, if I can use one or two pattern not to sale, just for an animation for a group of french patchwomen. It would be november ,14 and I take christmass tree or chrismass stocking ? Thank you for all the patterns and thank you to answer me. The link for your christmas quilt is broken, it will not download the PDF file.